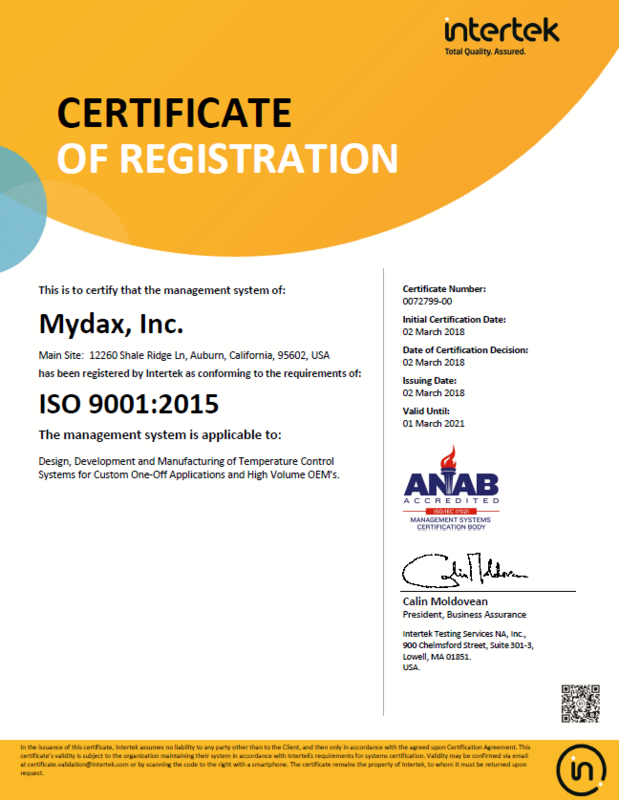 Mydax chillers have been in use for over 20 years at companies such as Amgen, Eli Lily, Merck, IBI and Sartorius Stedim Biosystems. Working closely with our customers, Mydax has developed the CryoDax series of chillers that provides for both heating and cooling a process reactor vessel. Mydax CryoDax 20 dual recirculating channel water cooled liquid chiller with 2 loops of cooling / heating 6,000 Watts total cooling at -40°C, 9000 watts heating available in each loop. 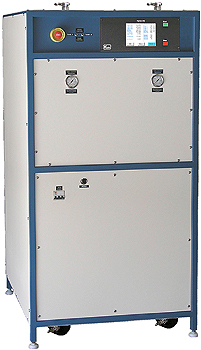 This unit spans the temperature range of -60°C to +150°C with one fluid. You no longer need to use two systems: one for heating and one for cooling. The 2-channel version of the CryoDax 20 has two recirculation loops each with its own reservoir, pump, heater, and evaporator (for cooling). This unit is a fine example of our 2-loop (2-channel) design. With two independent recirculation loops you are able to maintain two process vessels, each at its own temperature. This system is a winning design because it saves floor space and costs about 25% less (or more) than having two separate chillers. This design, as with all Mydax systems, can be customized to meet your needs.